We help arts organizations create extraordinary audience experiences and achieve business success. Terri Golas is the founder and principal of Making Art Work. For twenty five years, Terri led strategic planning, marketing and business development teams for some of the world’s best companies, including Compaq, BMC Software and MD Anderson Cancer Center. 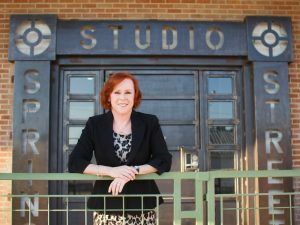 Terri now focuses on helping arts organizations and small enterprises achieve business success. Terri is a former instructor at University of Houston and Rice University Center for Philanthropy & Nonprofit Leadership. She earned an MBA from University of St. Thomas and a BA from University of Houston. We are have deep experience and specialized expertise in audience and market research, brand strategy, identity (logos and more), and defining your unique position in a crowded market. We are master planners and facilitators. We provide strategic planning, marketing plans, board retreat and meeting facilitation services to help your business achieve its short- and long-term goals. Nothing is more important than your story, and we can help you tell it well. We use a proven method that we’ve developed to create your unique “message map,” which serves as the foundation for all your communications. We can help you figure out how to create extraordinary audience experiences that will attract and retain patrons for the long term. We’re big on digital marketing as a means to improve customer engagement and loyalty. And we’re experts at designing communication systems that include easy-to-manage, WordPress-based websites integrated with your advertising, ticketing, CRM, email and social media. Our experience with Terri Golas was more than we could have hoped for. She was responsive, listened to what we wanted and needed, offered great solutions to problems and delivered more than promised. We would work with her again in a heartbeat. Working with Terri has been the single most impacting experience in the history of InterActive Theater Company’s ten years. She assessed our needs and set us on the road to re-envisioning our entire marketing strategy. Not only have we seen a measured success in our audience growth as a result, but we have also strengthened our administrative team. Working with Terri is a dream. She is incredibly personable and a great communicator. She really took the time to get to know our organization and our needs and she has a great sense of design. Not only did Terri build Classical Theatre Company a beautiful streamlined website but she also trained us how to use it. Terri is always available, always smiling, and always 3 steps ahead of you. Terri’s professionalism and expertise were invaluable to SWAMP during a very challenging year for us. She completely understood the needs of the organization and was able to consider our limited resources in order to prioritize our efforts. She demonstrated strong organization skills and made recommendations that increased our effectiveness and helped us achieve our objectives. Terri’s creative solutions were instrumental in moving our marketing efforts from the dark ages into the current decade. She built a wonderful, user friendly website and connected us to all the latest in social media. Her designs perfectly reflected our organization’s mission and needs. Working with Terri was a true delight and the results far exceeded our expectations. Terri’s enthusiasm and creativity made designing our new guild website a fantastic experience! She immediately understood our needs and created an organized, elegant, and highly effective new site that we couldn’t be more happy to have representing our organization. We would love to talk with you about how to make your arts business work better. We design creative solutions that help artists, nonprofits, and small enterprises plan and grow their businesses. We have deep experience and specialized expertise in business planning, branding, strategic marketing and audience development. Images © Copyright Individual Artists and Arts Groups. | Content © Copyright Making Art Work. | All rights reserved.